The hotel Vela d'Oro offers its guests a great location to access several of the natural beauties and places to visit in the region. Some of the most famous amusement parks of Italy find themselves in the direct surroundings of the hotel. First of all, Gardaland (www.gardaland.it) is only 10km far away from the hotel; bus (the stop is 50m away from the hotel) or car access is possible. Among all other leisure parks, it is worth to mention Canevaworld (www.canevaworld.it) at 8km, the Parco Natura Viva (www.parconaturaviva.it) 11km away, the thermal park of Garda Parco Termale del Garda (www.villadeicedri.it) 9km away, the Sigurtà (www.sigurta.it) botanic garden 18km away. For the passionate of boat trips, the Navigarda (www.navigazionelaghi.it) offers tourist service all through the year, with ships stopping at all most interesting spot on the coast of the lake. From the end of May until the end of August, the ship stops at the harbour in Cisano, only some steps away from the hotel. Thanks to the variety of the landscape in our region, even lovers of mountains can spend a great holiday at the Vela d'Oro hotel! All through the summer, a bus service from Bardolino transports tourists to the Monte Baldo for bus-and-bike trips. 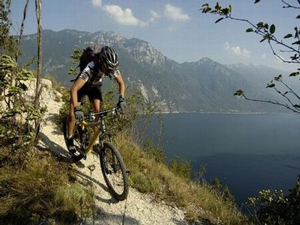 Even the immediate surroundings of Cisano offer good opportunities for trekking and off-road biking excursions. 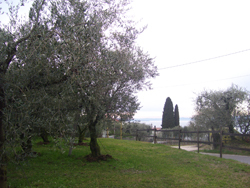 The "Strada del Vino Bardolino" (Bardolino Wine Road) is quite well known. It has a total length of ca. 70km, reaching 16 different towns of the eastern coast of the Garda region and offering the tourists beautiful spots with a view of the vineyards and the olive fields. Bike rental is available in front of the hotel. More about leisure... Water-ski, golf and horse riding are other attractions available for our guests in the region of the eastern coast of the lake. Passionate of arts will enjoy day trips to the most beautiful cities of Italy: Verona, Venice, Mantua, Bolzano, Milan and Florence. Our reception desk offers a reservation service for organized trips. But that's not all yet! During the day you can relax, and in the evenings you can make a unique experience in the Arena di Verona, a Roman theatre where classic concerts and operas of international importance are organized every summer. The show under the moonlight has a special charme and also in this case, our staff will be pleased to help you with the booking and make your stay unforgettable. What else? 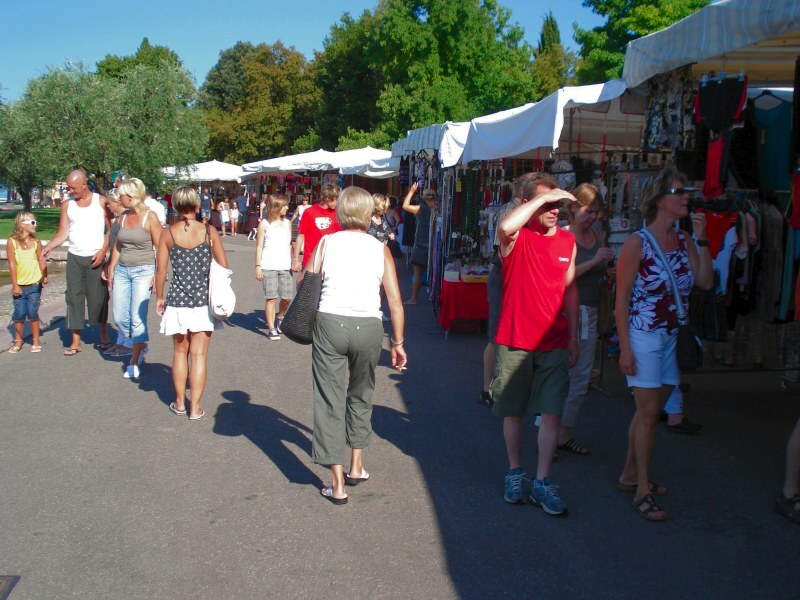 Local organizations have made a significant effort to keep alive traditional fairs and happenings. 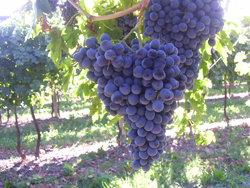 It is worth to mention the "Sagra degli Osei" (Bird's Fair) in Cisano, and the Wine and Grapes Fair in Bardolino. Among the others, the "Feste dell'Ospite" (Guest's Fairs), the "bisse" contest (traditional boat of our region), music happenings and much more. 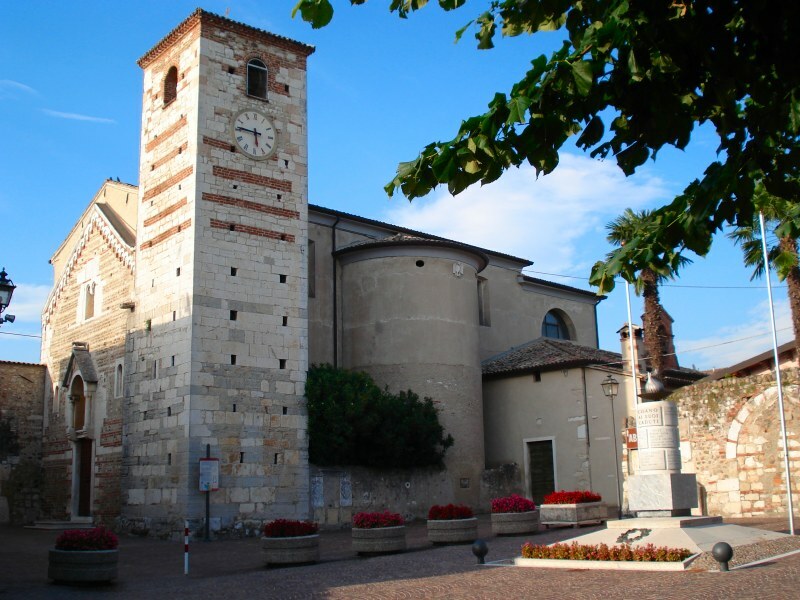 Cisano, proud of its millenary traditions, will surprise the visitor with fine foods and wines. If you think that sport, relax, fun and culture are the perfect cocktail for a perfect holiday, you don't consider what the Italians mean when they say, "put one's legs under the table". 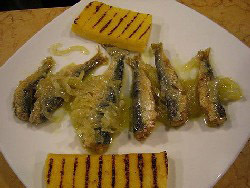 Fine eating is a lifestyle, which, in our country, is transmitted from each generation to the following, since centuries. Cisano, small town of pre-historical origins, still shows a heritage of the Medieval times (the Santa Maria church, XII century), located in the small square behind the hotel, has been since its foundation, a little fishermen's village. Dino, the eldest of them, comes back every morning from the lake with his little boat loaded with plenty of different fish, depending on the year's season, and, just like he does, many other men in neighbouring towns make their lives by fishing, an ancient but yet modern occupation. If you turn your eyes away from the lake to the hills behind, you will surely notice the colour of our land: ranging from light green of the olive trees, producing the famous Extravergine Olive Oil of the Garda, with its typical fruity flavour; to the bright green of the Bardolino vineyards, from which the world-wide appreciated wine is made. From the heights of the Monte Baldo, more peculiar products are available for the fine eaters: the precious "Scorzone" truffles and the "Monte Veronese" cheese, a dairy product of the cows living on mountain meadows. With all these fabulous ingredients, with our traditions and the imagination of Italian cooks you can now have an idea of the quality of eating and drinking in our region!